MORNING MANNA : Sep 02 - DO THINGS LOOK BAD? Sep 02 - DO THINGS LOOK BAD? Many of God’s children are not concerned about purity in life and so THEY FIND THEIR LIFE FILLED WITH EVIL. In one sense, “WHEN OUR HEART IS NOT CLEAN, EVEN THE GOOD THINGS GOD DOES FOR US WILL APPEAR EVIL TO US”. The gracious Lord gave the children of Israel manna from heaven. Manna was the best food they could ever get. It was freely and freshly given every morning. It had the taste of “fresh oil” (Num 11:8) and “wafers of honey” (Ex 16:31). It was angels’ food. There was not one feeble or sick person among those who ate manna. But the evil Israelites could find nothing good in it! The same truth is also applicable the other way around. When our heart is clean, even the evil others do to us will turn out for our good! Look at the example of Joseph in Genesis. His brothers hated him, put him in a pit, sold him and did a host of other evil, but God turned them all into good. See the very words of Joseph in this context: “But as for you, ye thought evil against me; but “GOD MEANT IT UNTO GOOD“, to bring to pass, as it is this day, to save much people alive” (Gen 50:20). 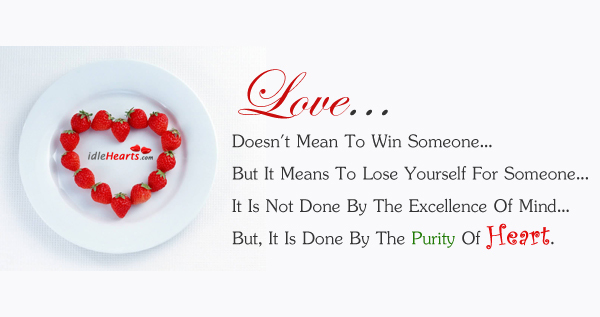 If you really love purity of heart, you will enjoy heaven every day and every moment! Right now surrender your whole life for a life of purity with uncompromising zeal, and come out of that dungeon in which you have been bound for so long.